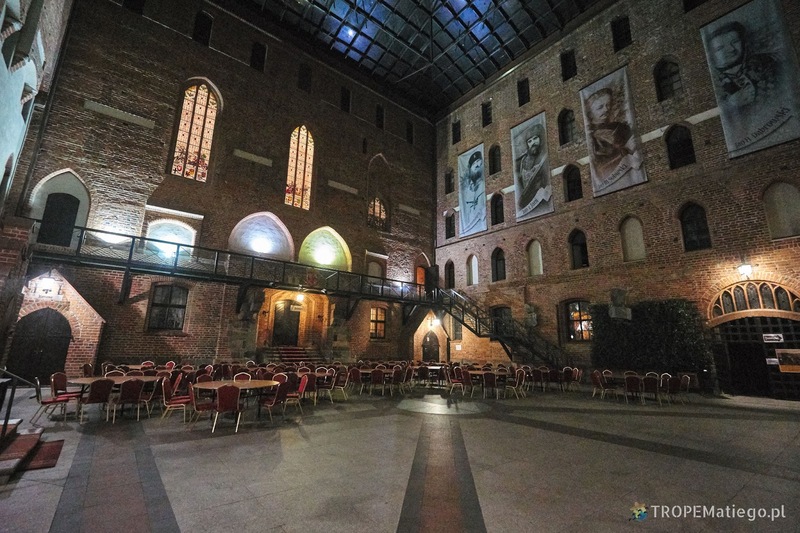 This is the next review of Teutonic castles located in Poland. Unfortunately many of them no longer exist or only ruins remain. Nevertheless, even the ruins may be interesting. The castles that survived operate to this day with a wide offer of many attractions and interesting facts. The Construction of the castle began in 1290 at the place of provisional stronghold. After 20-30 years, the most powerful fortress on the left side of Wisła river was ready. In the 15th century the castle was rebuilt, the entry from the south was moved to the east side, built a fortified castle boroughs with north and Water gate. 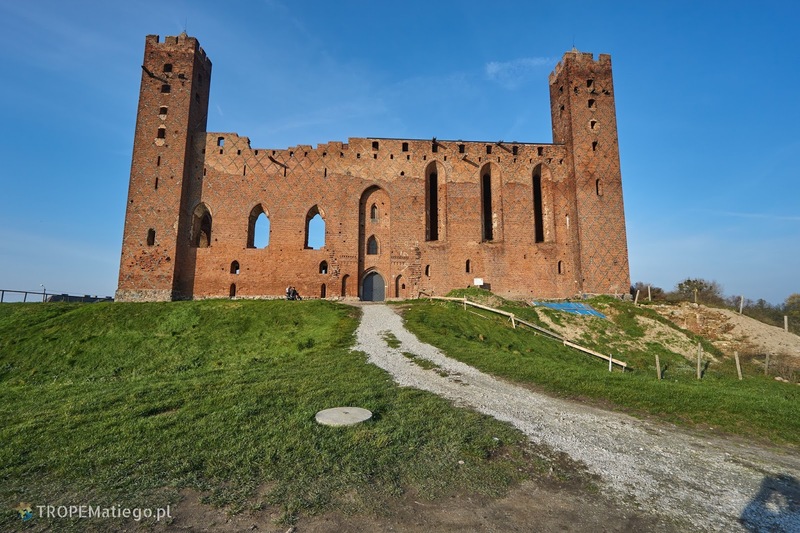 In 1466 the castle passed into Polish hands. Residence of Polish starosts was set here. In 1625-1635 and 1655-1656 the castle was destroyed by the Swedes. In the second half of the 17th century, when the starost was Jan Sobieski, a hunter's palace and Marysieńka's palace were built. After the first partition of Poland the castle was under Prussia control. Barracks and granaries were set here. In the 19th century the main tower was dismantled. In the castle was a prison in the years 1856-1859. In 1921, the castle was destroyed by fire. The reconstruction took place in 1968-1974 and from 1992. Currently, a Knighthood actively operates in the castle. Knights' tournaments, artistic blacksmith's shows and many other events are organised. Sightseeing with a guide costs PLN 15 (normal ticket) or PLN 10 (reduced ticket). The construction of the castle began in 1322 and lasted until second half of the 14th century. The biggest dansker among the Teutonic castles was added to the west elevation. The dansker was linked to the castle through a bridge supported on five high arcades. At the north side is well tower called small dansker. It is linked to the castle through only two high arcades. 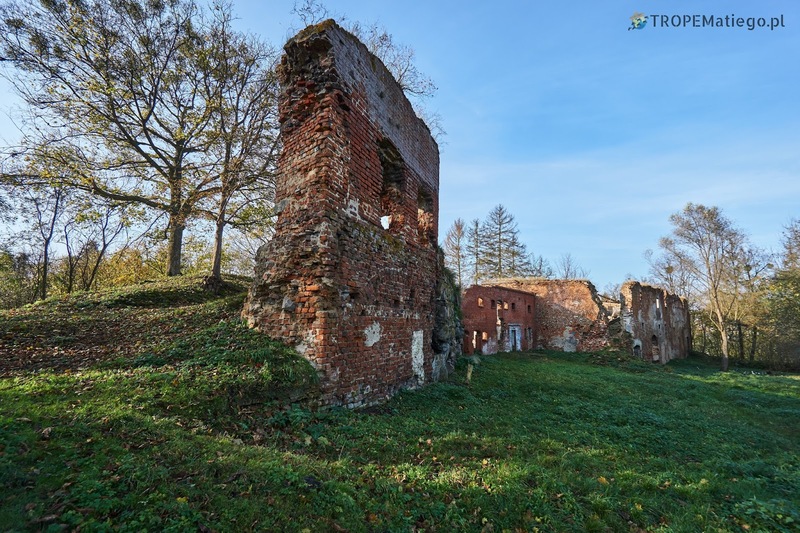 The castle was seriously damaged during the Thirteen Years' War and in the years 1478, 1520. In 1798 the southern wing and partially the eastern wing were dismantled. Later, interiors were rebuilt for the needs of state offices and school that were located in the castle. The demolition lasted until Frederick William IV ordered to stop it in 1854. In 1874 restoration works began. In the result, the gothic elevation was bastardized. Since interwar period in the castle is museum. 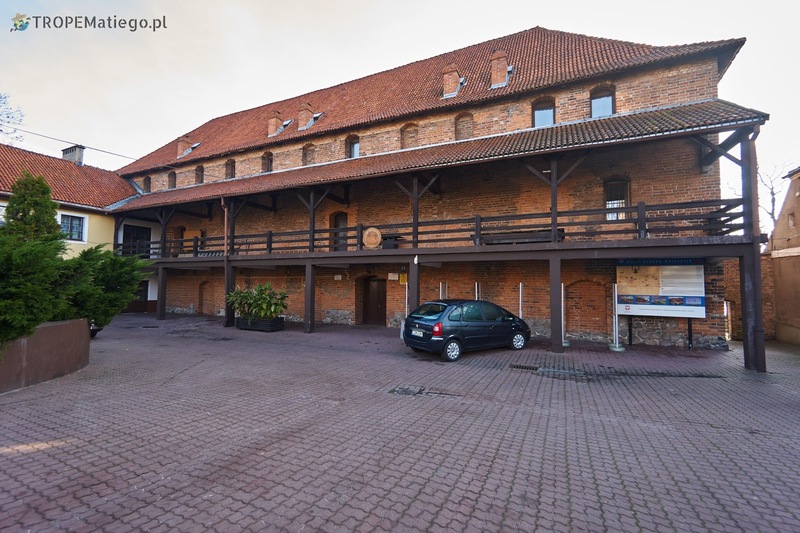 At the beginning it was a regional museum, currently it is a branch of The Malbork Castle Museum. It is good to know that there were two castles in Kwidzyń. 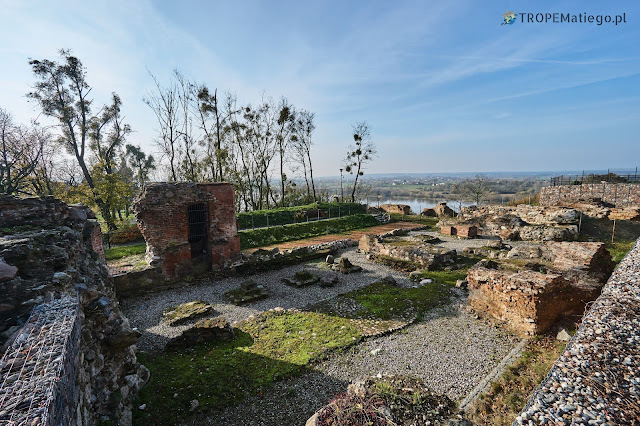 The second one was located on the south-west of the city. Polish army destroyed it in 1520. The castle has never been rebuilt. The museum is open from Tuesday to Sunday, from 9:00 am to 5:00 pm between May 1 and September 30. Between October 1 and April 30, from 9:00 am to 3:00 pm. Normal ticket costs PLN 10, reduced one PLN 5, EURO CARD ticket is for PLN 5. The entry of one hour before closing costs PLN 5 (normal ticket), PLN 2 (reduced and EURO CARD ticket). 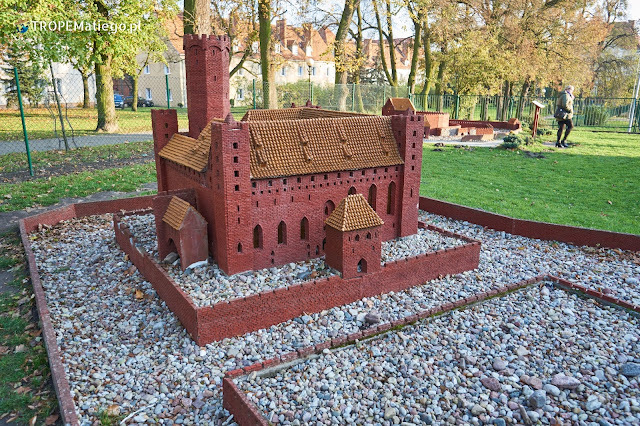 Teutonic Knights built this stone castle from 1350 to 1404. The castle was surrounded by defensive walls. It had also four towers. 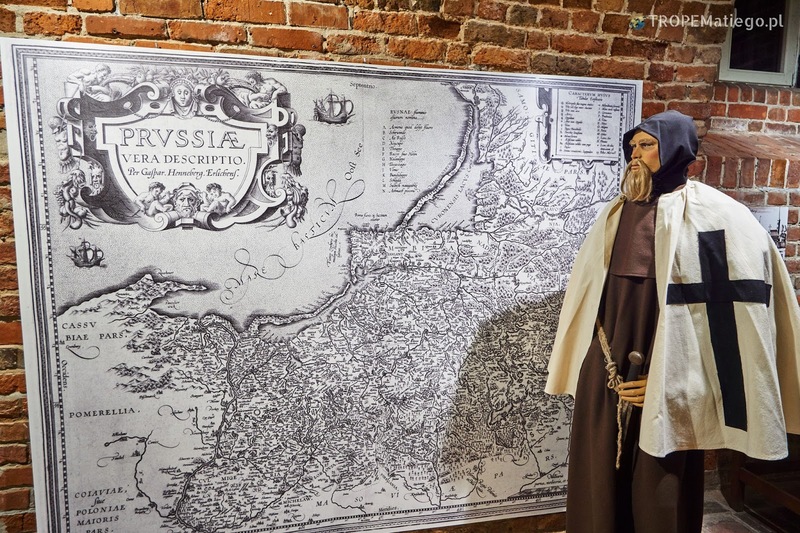 From 1466 (the Second Peace of Toruń) there was a residency of polish starosts. During the Swedish wars the castle was heavily devastated. At the end of the 18th century, after the First Partition of Poland, Prussians significantly dismantled the castle. Only a residential house left, which originally was located in one of the wings. In 1787 it was transformed into a protestant church. Later it became a storehouse and firefighting brigade. Since 1992, it houses a cultural center and communal public library. First Teutonic castle in Grudziądz was built in 1234. It was probably made from wood, destroyed in 1243. They made a decision to built a new stone castle here. The construction lasted from about 1250 to 1299. The castle was a residency of the Teutonic commander. 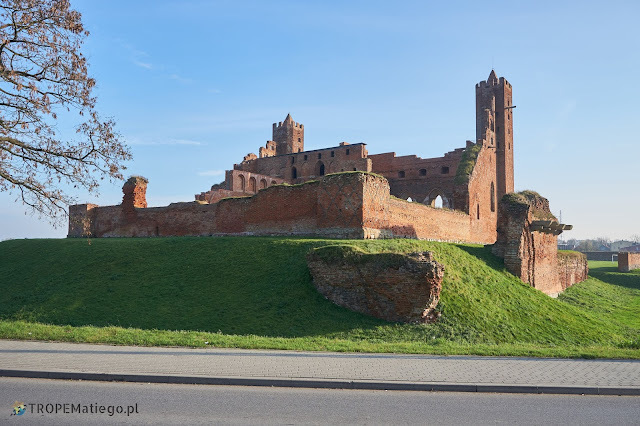 In 1338 the Vistula scarp collapsed along with the west wing of the castle. 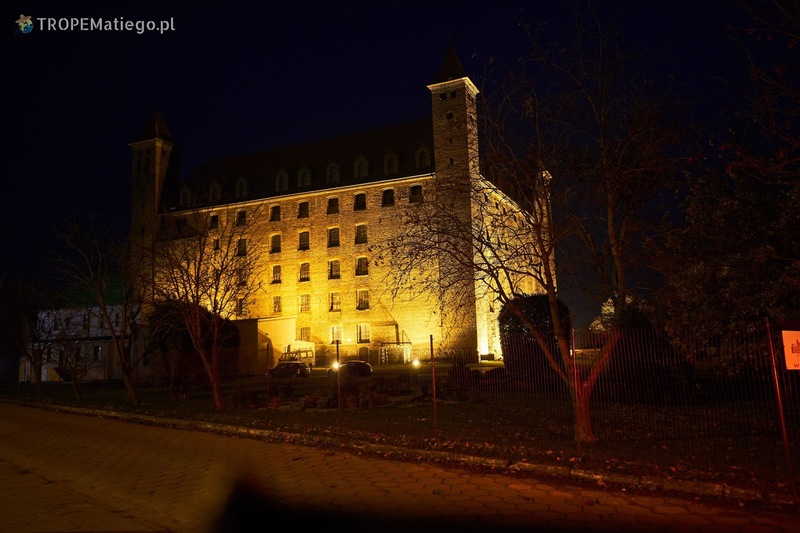 In 1454 the castle was handed over to the Polish King. During the Polish-Swedish wars, Swedes had control over the castle. In 1659 it was captured by Polish. In that times the castle was seriously damaged. They tried to repair the stronghold, but it did not help and the castle transformed into ruin. From 1466 (the Second Peace of Toruń) to 1772 it was a residency of Polish starosts. 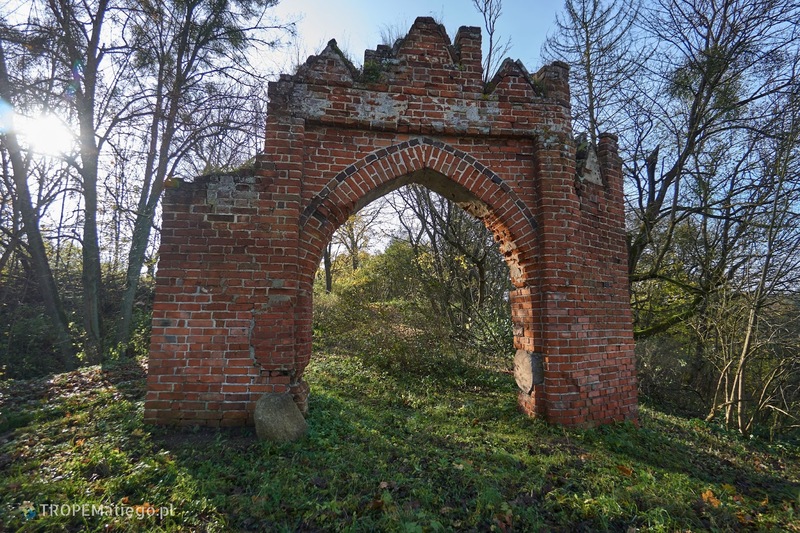 In the 19th century, after the Partitions of Poland, Prussian dismantled a significant part of the castle. 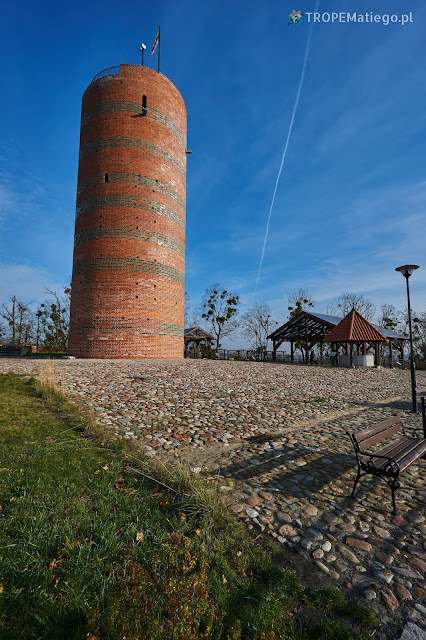 Only the Klimek tower survived. Germany blew the tower up in 1945. In 1956 the area of the ruins was put in order. In 2014 the Klimek tower was rebuilt. Entry to the tower is for free and it is open between 9:00 am and 6:00 pm in the winter season (October 1 - March 31) and from 9:00 am to 8:00 pm in the summer (April 1 - September 30). The construction of the castle probably began after arrival of the first Teutonic commander in 1279. Previously there was a medieval gord. They destroyed it completely. The construction lasted until 1335, because the work had to be stopped many times due to the ongoing wars with the Prussian tribes. After the successful battle of Grunwald for Polish Kingdom, the castle was in Polish hands for a moment. Finally the castle became permanently Polish in 1466. There was a residency of Polish starosts until 1772. In 1611 a fire partially hurt the castle. In 1784 Prussian sold it to a man named Kayser. He was dismantling the castle little by little. The stones and bricks were used for his other constructions. In 1934 the ruins of the castle was considered as monument of history. Currently it is a private property. The first wood-earth stronghold was established in 1234. The stone castle was built at the turn of the 13th and the 14th centuries, probably before 1329. The castle was considred the second most important stronghold for Teutonic, right after the castle in Malbork. In fact, the Grand Master of Teutonic Knights Ulrich von Jungingen kept here his treasures. 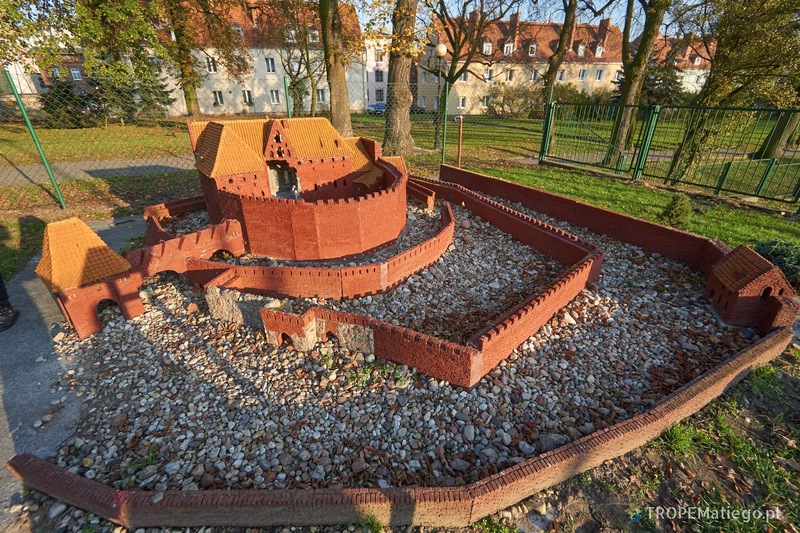 In 1410, after the Battle of Gruwnald the castle was taken over by the Polish authorities for a while. 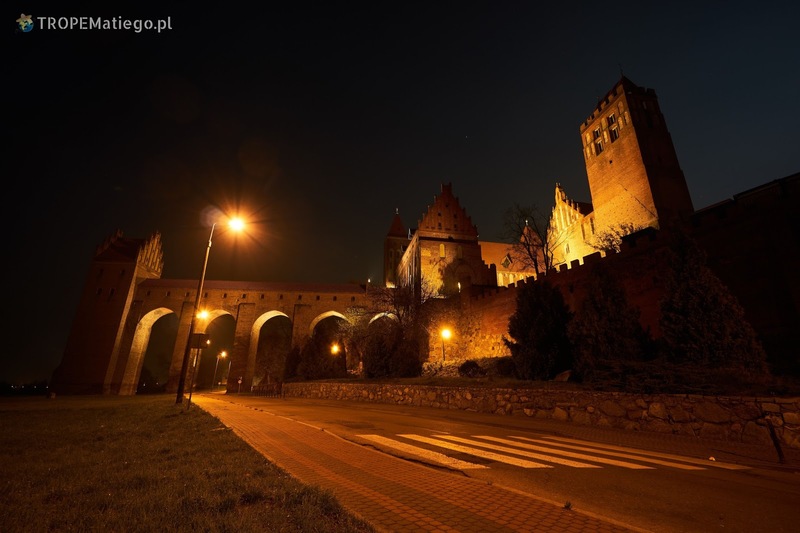 As a result of the First Peace of Toruń, the castle was returned to Teutonic Knights. The treasures of Grand Master was moved to Prague in secret. Between 1466 and 1772 here was a residency of Polish starosts. In 1628 the castle was destroyed by Swedes during the Polish-Swedish wars. After the First Partition of Poland, Prussian had here offices of the management of the state goods. In 1780 the offices were moved to the city and the castle was systematically dismantled. In 1838 this ruin was secured. Some researches was carried out here in 1886-1890. At the beginning of the 20th century the chapel was covered with a roof. In 1961-1968 restoration work occurred. In the result the defensive walls was partially reconstructed. Currently a museum is located in the castle. 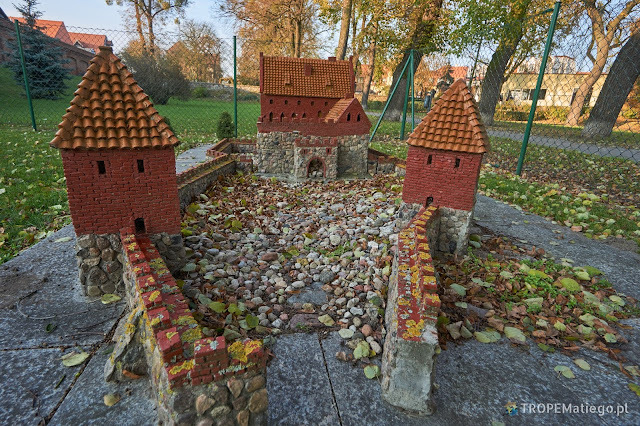 The Teutonic Knights started their adventure in Polish territory in Chełmno. They began construction of their castle in 1233. It was their capital until 1309 when the castle in Malbork was ready. Almost the entire history of the castle is correlated to nunneries. The castle was dismantled in the 18th century. His slim leftovers are on the area of current nunnery. However, it is worth visiting the Park Miniatures of the Teutonic castles. In the park you can admire not so small miniatures of the castles. Especially those that no longer exist or only ruins are remained. The park is located in the city center at the Powstańców Wielkopolskich street. It is open only in the summer from April 1 to October 30 between 10:00 am and 7:00 pm, on Sunday between 11:00 am and 7:00 pm. Admission is free.